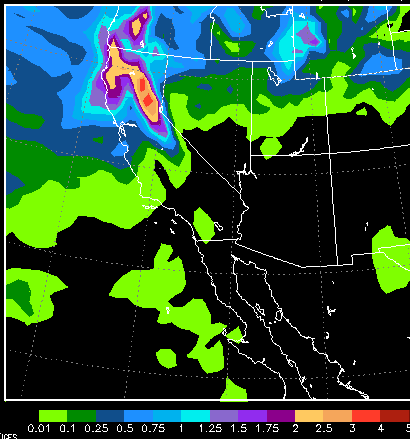 As you can see, some areas north and west of Tahoe could pickup 3-5 inches of liquid precip. That means isolated areas of the Sierra receive in excess of 3 feet of snow. Mt. Rose should get between 1-2 feet of snow which is a good start. This storm is moving faster than expected however. That means the potential for more significant precip will be reduced. We are not complaining here at TWB as this storm is very welcome. Again I apologize for my absence and will talk about future events either today or tomorrow. Hi there, I read your blogs on a regular basis. Your method of explaining the whole thin is pleasant, every one be capable of effortlessly be aware of it, Thanks a lot. Keep giving latest updates.